If you think our Birdorable birds are cute as adults, what about when they are babies? 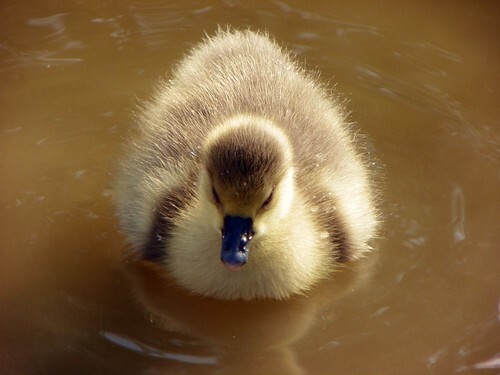 Below are some baby photos (shared via Flickr Creative Commons) of the Canada Goose. Canada Geese sometimes get a bad rap as nuisance birds and they have a reputation for being aggressive. But these North American native birds have their place in our environment. And it's hard to deny that they are handsome birds as adults, and pretty darn cute as babies. Canada Geese start their nest with a scrape, and then build a nest out of local plant material. The inside is usually lined with soft downy feathers. 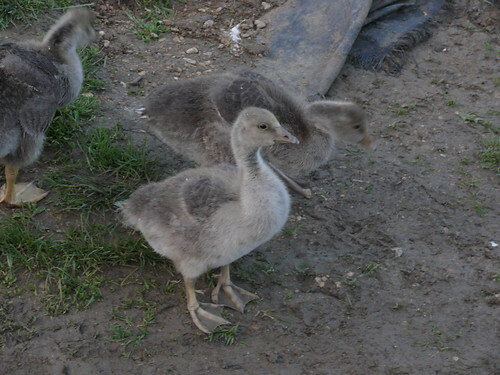 The female goose will incubate the eggs herself; the process usually takes 25 to 28 days. At hatching, the chicks are fully covered with down. They are able to leave the nest within about 24 hours of hatching. They can swim upon leaving the nest; flight occurs 6 to 7 weeks later. For 22 days we’re adding a new Birdorable bird every day as part of our Birdorable Bonanza 2012. We’re counting up to our 400th species! 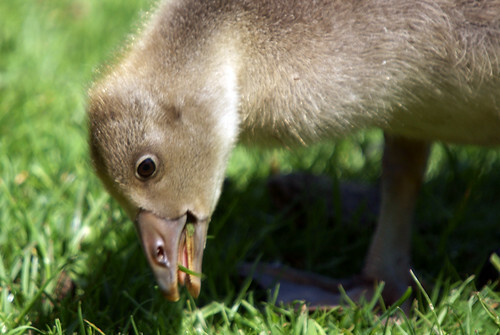 Today we introduce the Birdorable Hawaiian Goose! 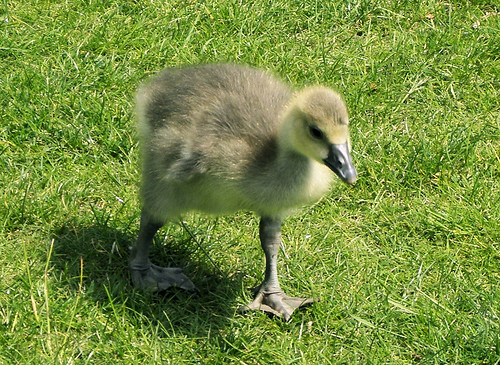 The Hawaiian Goose is the official state bird of Hawaii, where it is called the Nene (or NÄ“nÄ“). The endemic species is threatened due to over-hunting and predation by non-native species like mongooses and domestic cats. Captive breeding programs are working to reintroduce the species to the islands, and there is hope for the survival of the species. 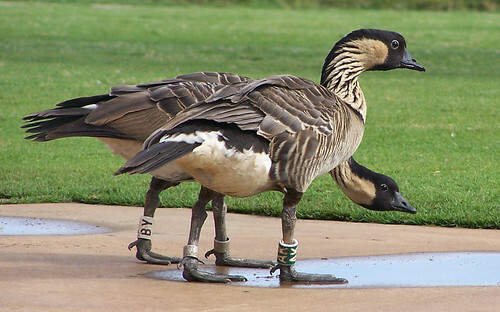 People can help Hawaiian Geese by watching out for them when traveling through their territory, and by not feeding them. Geese that become habituated or even dependent on people for food are drawn into traffic or other man-made dangers. Tomorrow's bird is the national bird of Saint Lucia, an island in the Caribbean. Can you guess what it will be? If you think our Birdorable birds are cute as adults, what about when they are babies? 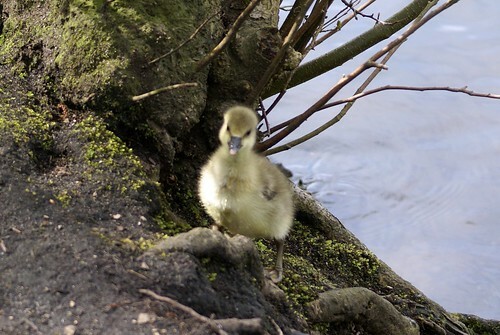 Below are some baby photos (shared via Flickr Creative Commons) of the Greylag Goose. Greylag Geese typically mate for life. Nesting occurs in loose colonies with cup nests built on or near water. Typical clutch size ranges from 4 to 6 eggs; incubation takes just about four weeks. Chicks fledge about five weeks after hatching; young birds remain with their parents through the spring migration following their hatching. Pretty cute, right? 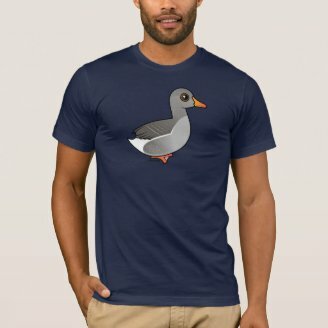 Be sure to check out our Birdorable Greylag Goose t-shirts and gifts! 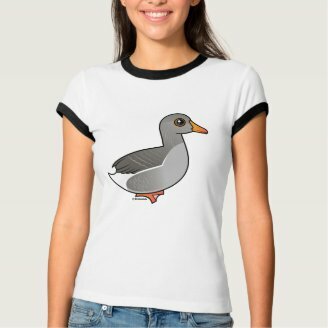 Today’s bird, and the 10th species in the Birdorable Bonanza, is the Pink-footed Goose! 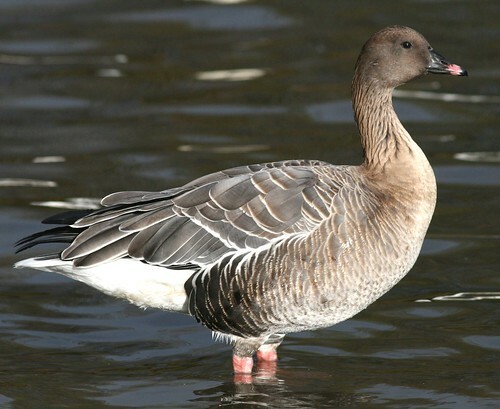 The Pink-footed Goose is a migratory species of goose that breeds in parts of Greenland, Iceland, and Norway. The species population has increased dramatically over the past 50 years, mainly due to extra hunting restrictions in their winter range. The Pink-footed Goose featured prominently in the recent birder movie The Big Year. Two of the main characters missed out on seeing the rare vagrant to the United States early in the film (and early in the big birding year). The bird appears again later in the movie as well. Tomorrow's bird is a quail that can be found in eastern United States and is named after its characteristic whistling call. Can you guess what it will be? 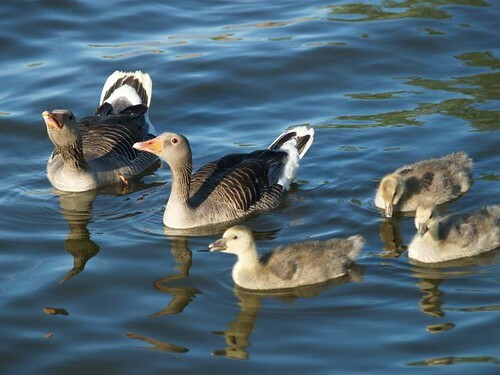 On the sixth day of Birdorable, my true love gave to me… 6 Geese-a-laying! Our 12 Days of Birdorable continues today with another brand new bird species: the Birdorable Greylag Goose. 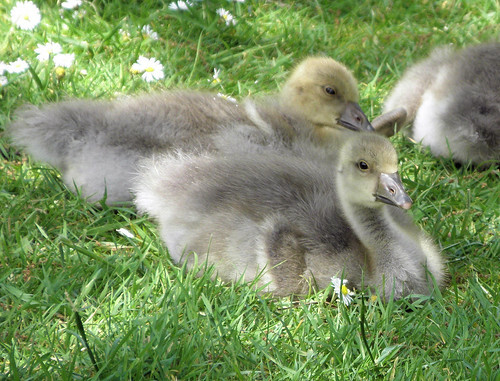 The line Six Geese-a-laying in the song “The 12 Days of Christmas” may very well be referring to Greylag Geese. Greylags are extremely common throughout much of Europe. Greylags are also the ancestors of the modern domestic Embden Goose.